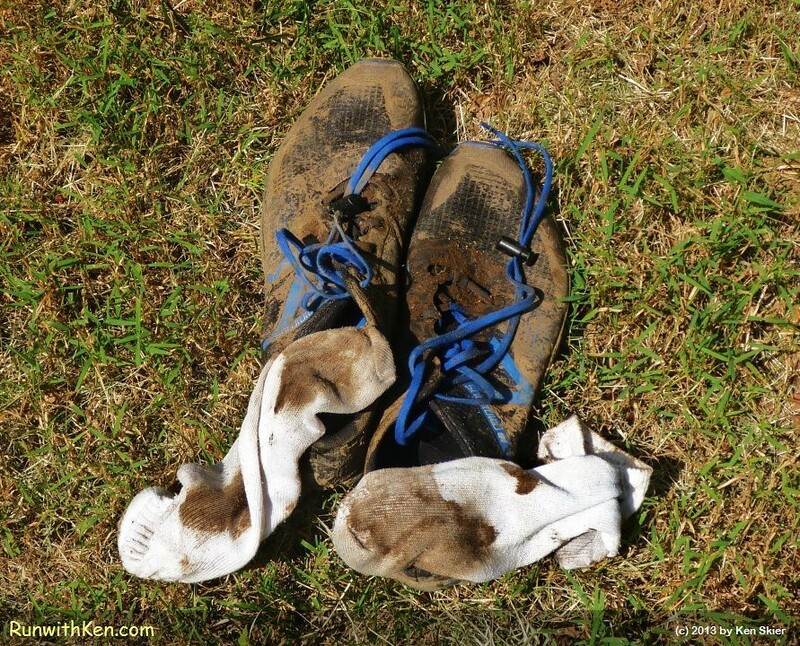 These trail shoes were black...and the socks were pure WHITE--BC! (Before Cranmore. :) After the Cranmore Mountain Race in North Conway, NH..